As part of my book on the science behind energy drink ingredients, we look at taurine and what it does. Protein and carbohydrates are water-soluble, so it’s easy for them to get onto the highway (the bloodstream) and travel to the next stage of digestion. Since fat is not water-soluble, it needs a little help with transportation. 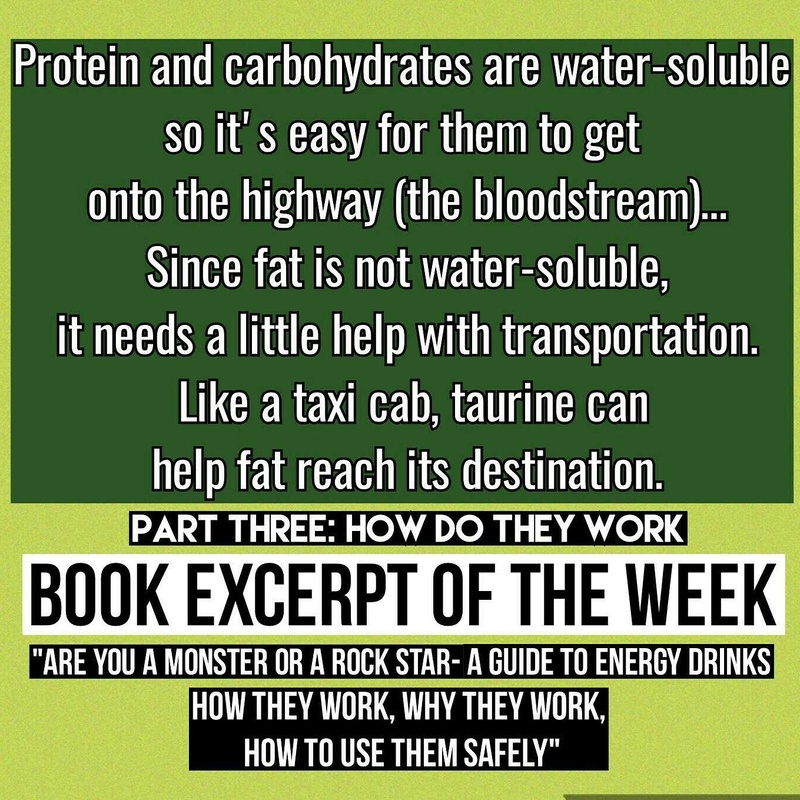 Like a taxi cab, taurine can help fat reach its destination. Taurine is an amino acid that links up (or “conjugates”) with bile salts in the liver and intestines. In its conjugated (linked up) form, part of the molecule is water-soluble and part is fat-soluble. The fat-soluble part helps your body digest fats by making them soluble. Fat can’t be metabolized if it can’t be absorbed, and it can’t be absorbed until it’s soluble. FOR MORE ON TAURINE’S FUNCTION, stay tuned for next week’s book excerpt!